A parliamentary report of 1777 recorded parish workhouses in operation at Bewley [Beaulieu] for up to 35 inmates, Eling (50), Fawley (40), and Minstead (12). 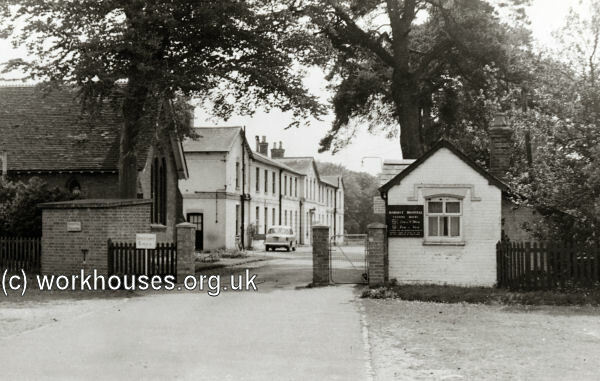 Fawley's parish records indicate that a new workhouse was erected there in 1796-7. County of Hampshire: Beaulieu (2), Bramshaw, Dibden, Eling (5), Exbury with Leap, Fawley (2), Lyndhurst (2), Minstead (2). Later Additions: Colbury (from 1894), Copythorne (from 1894), Denny Lodge (from 1868), East Bramshaw (from 1895), Marchwood (from 1894), Netley Marsh (from 1894). The population falling within the union at the 1831 census had been 11,613 with parishes ranging in size from Exbury with Leap (population 325) to Eling (4,614). The average annual poor-rate expenditure for the period 1831-34 had been £7,048 or 12s.11d. per head of the population. 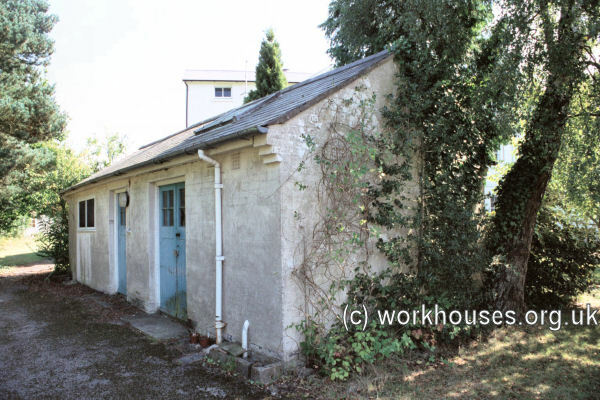 A New Forest Union workhouse was erected at Ashurst in 1836. The Poor Law Commissioners authorised an expenditure of £5,000 on construction of the building which was to accommodate 200 inmates. The architect was Sampson Kempthorne who was the architect of many early Union workhouses, including those for the Andover, Basingstoke, Droxford and Winchester unions. 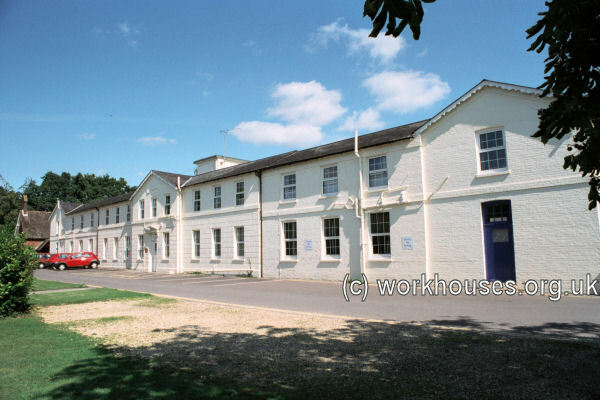 The New Forest workhouse was based on his model hexagonal plan which had a front administrative block, behind which three accommodation wings radiated from a central supervisory hub. The areas between the wings formed segregated exercise yards for the different classes of inmate (infirm/able-bodied, male/female etc.) The workhouse layout is shown on the 1909 map below. New Forest workhouse site, 1909. 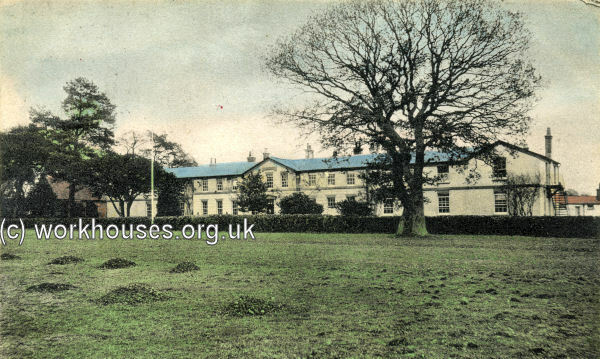 New Forest workhouse from the west, c.1907. The administrative block faced to the east and contained the porter's room, Guardians' board-room, clerk's office and so on. New Forest administrative block from the south-west, 2000. 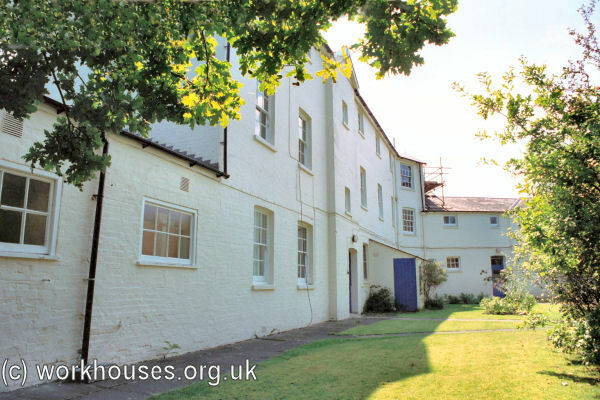 The north half of the workhouse contained accommodation for females and the south half for males. The west range of the "Y" contained the workhouse dining-hall. New Forest south-east and north ranges from the south-east, 2000. A small mortuary was located at the north side of the main building. New Forest mortuary from the west, 2000. A chapel, probably dating from the third quarter of the nineteenth century, was built at the north of the site. 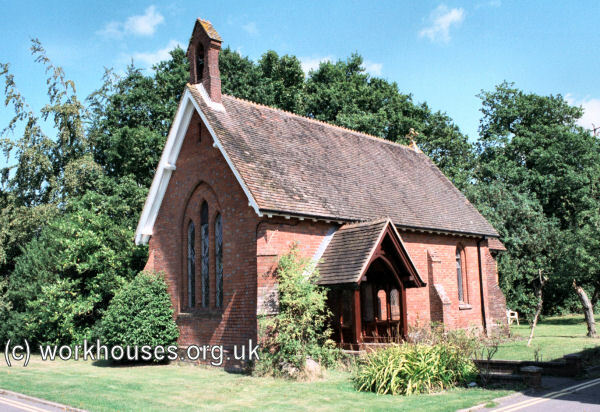 New Forest chapel from the south-west, 2000. After 1930, the workhouse was taken over by Southampton County Council and became a Public Assistance Institution. After 1948, it joined the National Health Service as Ashurst Hospital providing care for geriatric patients. Hampshire Record Office, Sussex Street, Winchester SO23 8TH. Very few records survive. Holdings include Guardians' minute books (1848-1930); Ledgers (1847-8, 1871-3, 1923-30).